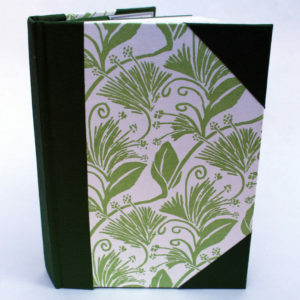 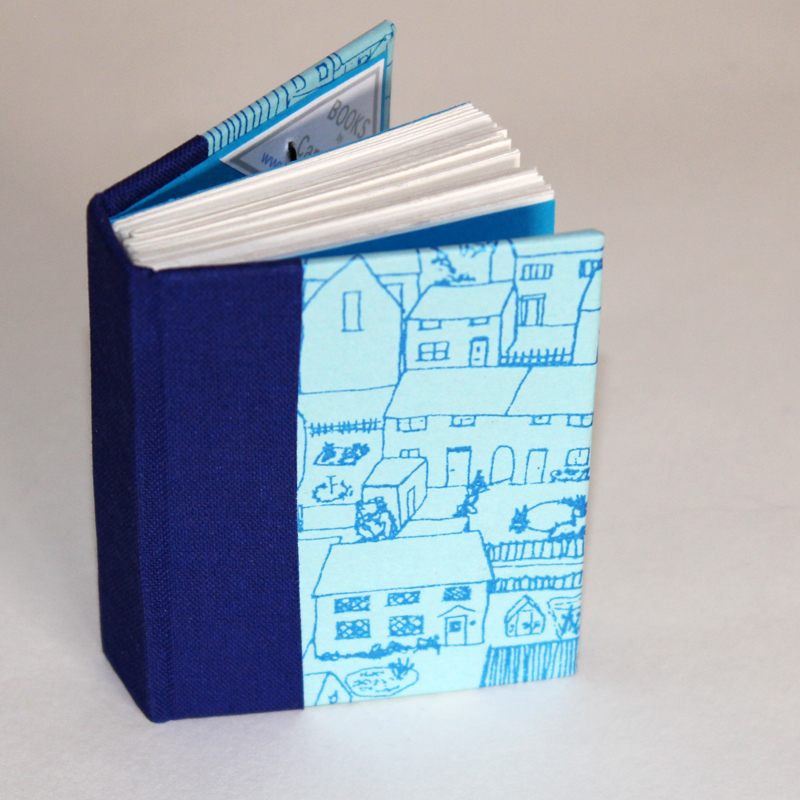 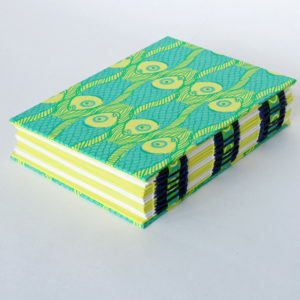 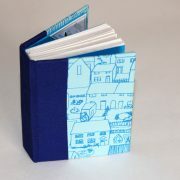 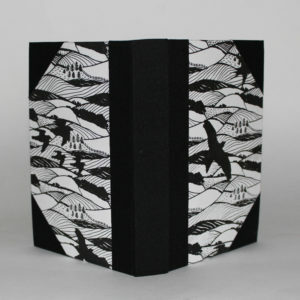 Tiny handcrafted notebook bound with handprinted ‘Houses” design paper. 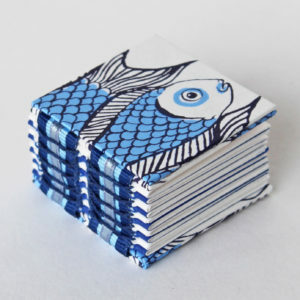 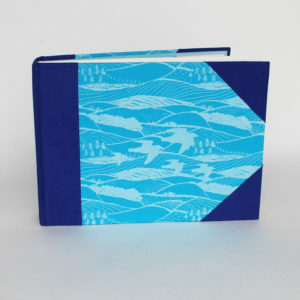 The covering paper was silkscreen printed by hand in blue ink on a lighter blue paper. 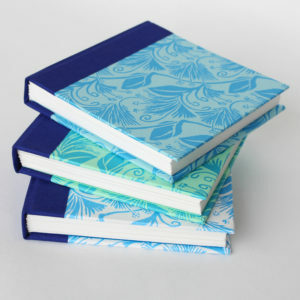 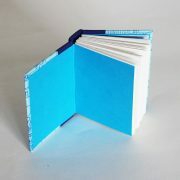 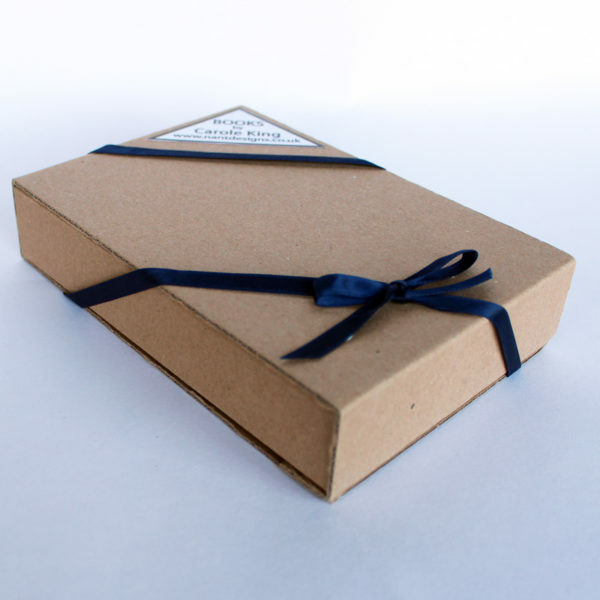 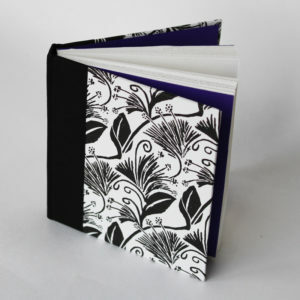 Inside there are 72 hand stitched pages of white acid free cartridge paper, bound with matching dark blue endpapers and a blue book cloth spine. 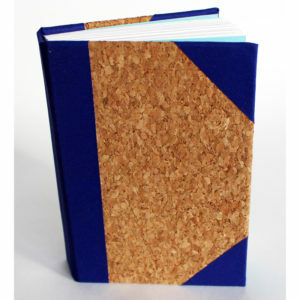 This little book has durable hard covers and comes in its own simple cardboard box. 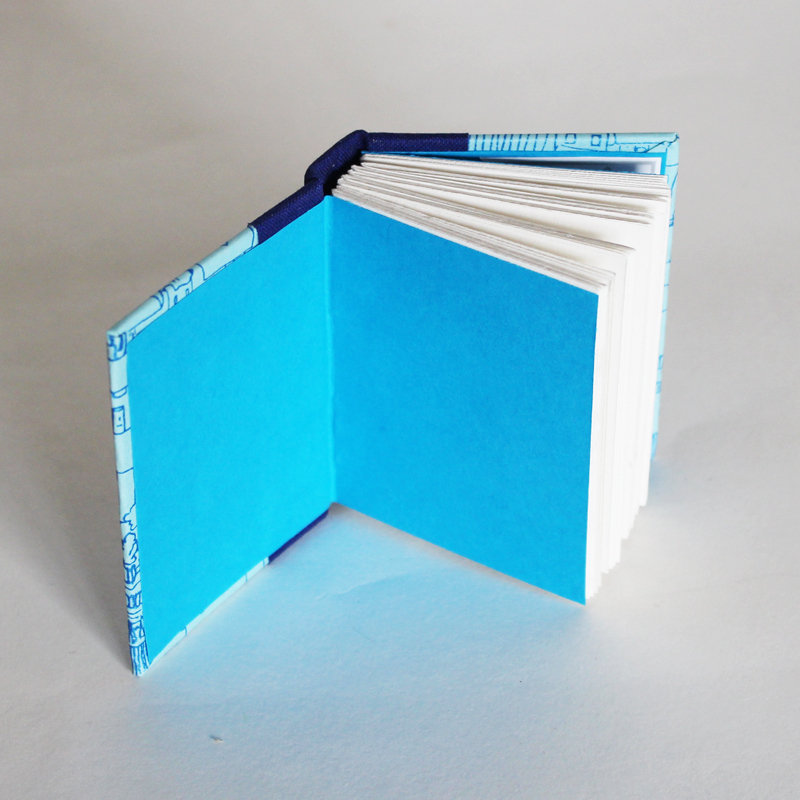 Suitable as a handy notebook or tiny journal, it will fit in the palm of your hand. 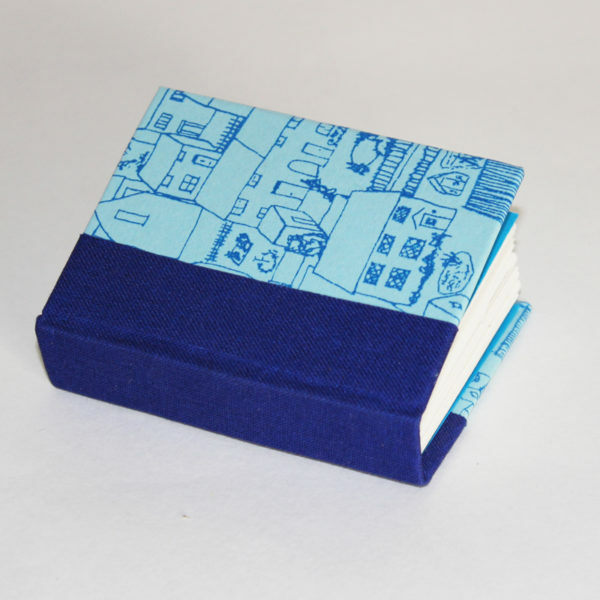 The design of tiny little houses was inspired by a local coastal village in Wales where the houses range across the side of a hill down to the sea.